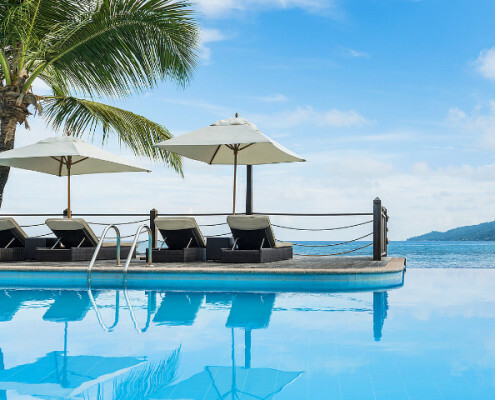 The 4-star La Digue Island Lodge provides some of Seychelles’ warmest hospitality and an unequalled approach to small island luxury. 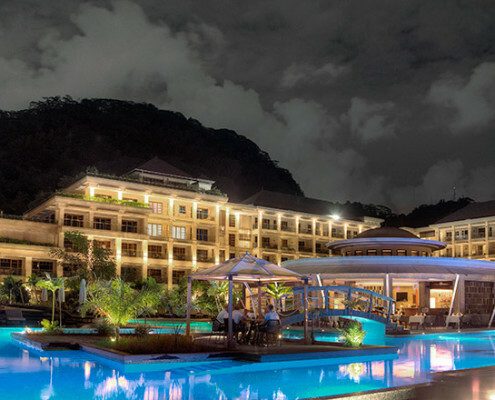 La Digue Island Lodge on the beach at Anse Réunion provides the perfect location to explore the beauty of La Digue or to do no more than relax on the sand and listen to the gently lapping tropical sea. 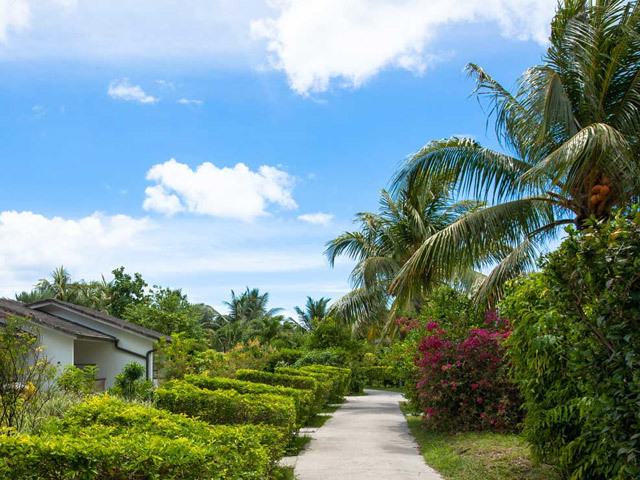 Situated in a peaceful and exotic tropical garden of coconut palms, Takamaka trees and a variety of flowering plants providing a cool and breezy atmosphere, the natural beauty of the island shines through at the lodge. 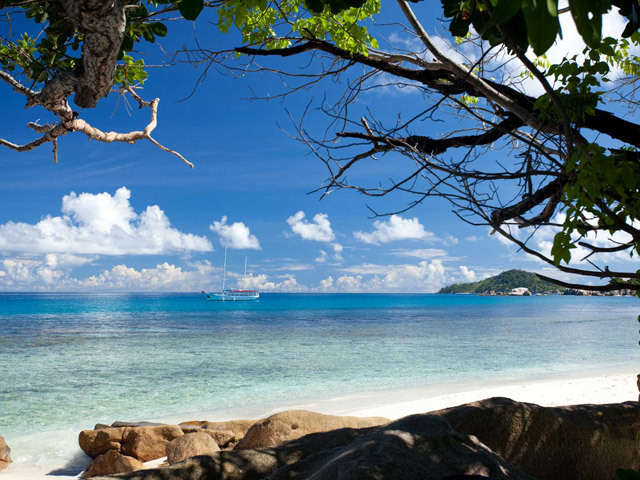 La Digue Island Lodge is located on La Digue Island, to the east of Praslin Island, a 15-minute catamaran ride away. The A-Frame Chalet is your own individual thatched roof, wooden chalet in your choice of location, either with an undisturbed sea view just five steps from the beach, or a garden retreat, cosy enough for yourself or a family of four, and featuring an upper deck mezzanine. Most rooms are double bedded and feature air conditioning, mini-bar, satellite TV, IDD telephone, hairdryer, shaver unit, tea and coffee making facilities and a safe. 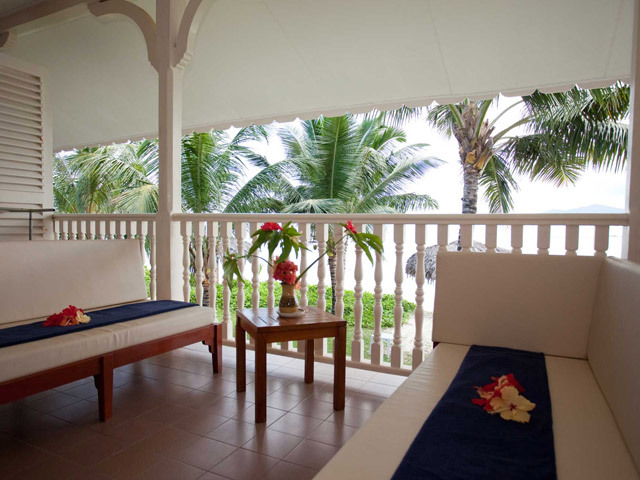 Enjoy the view and the open space of our Beach House Suite with terraces and balconies overlooking the panoramic view of Praslin and the scenic crossing from the mainland. 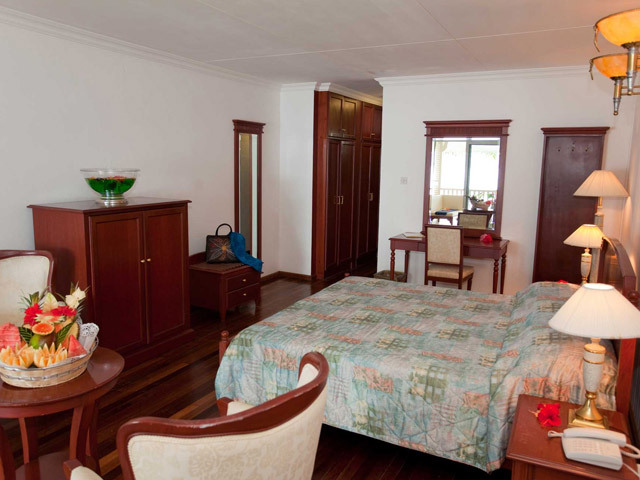 These large and spacious rooms have en-suite bathroom facilities. The Yellow House, a famous colonial building which dates from 1900 has been declared a National Monument of Seychelles. It houses double-bed guest rooms each with a spiral staircase leading down to a spacious bathroom with separate bath, shower and bidet. The Yellow House has a garden view. 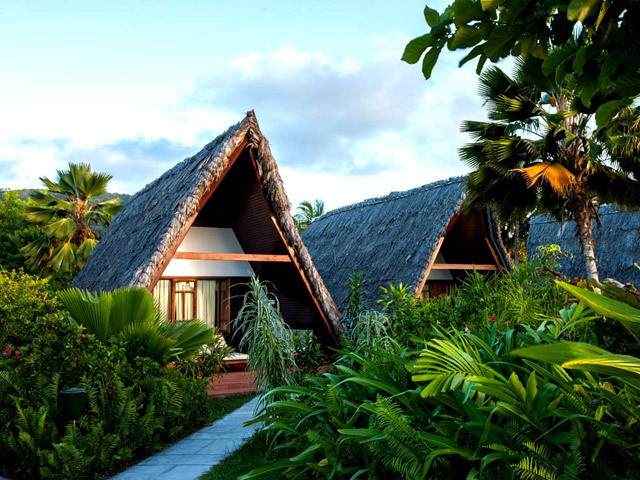 Nestled amongst the exotic vegetation of coconut palms and towering Takamaka trees, the L’Union Beach Chalets offer an unmatched breath-taking view across the azure waters of the Indian Ocean to Seychelles’ second island, Praslin. Each chalet contains two fully air-conditioned bedrooms with complete bathroom facilities including separate bath, shower and bidet. The chalet’s fully equipped kitchens contain everything you’ll need to work on your very own tropical feast. The Mini Garden Suite is tucked away in a quiet corner of the gardens, where each unit enjoys a private veranda and ample interior comfort. Renowned throughout the islands for its traditional Creole cuisine, the Veuve Restaurant compliments its use of the freshest local produce and traditional recipes with the highest quality ingredients sourced from around the world. In addition to its signature Creole dishes, the Veuve Restaurant also offers a range of international cuisine and hosts regular theme nights. As well as providing the islands finest evening dining choice, the Veuve Restaurant is also open for a relaxing morning buffet breakfast. The Pool Restaurant offers a range of light-lunch options as well as more substantial dishes for heartier appetites. Traditional pizza and pasta dishes are the Pizzeria at Gregoire’s speciality, a popular choice with tourists and locals alike. 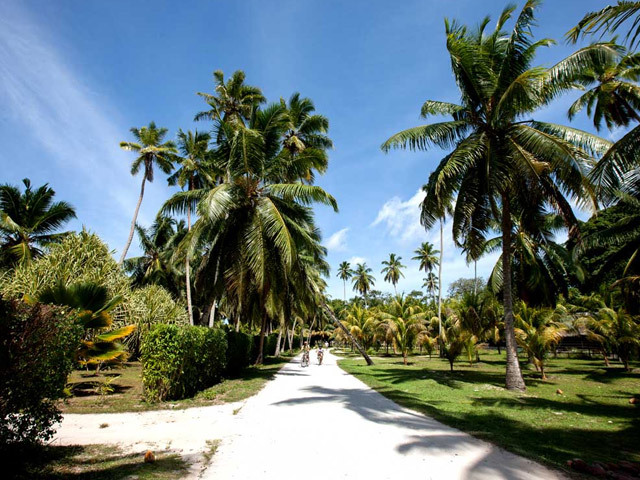 Swimming pool, scuba diving, fishing, snorkelling and horse riding. 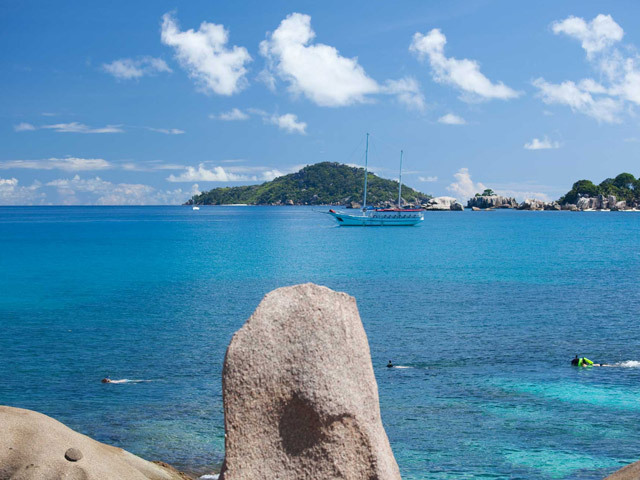 The La Digue Island Lodge Spa is dedicated to providing personal care tailored to meet the individual needs of each of our clients. 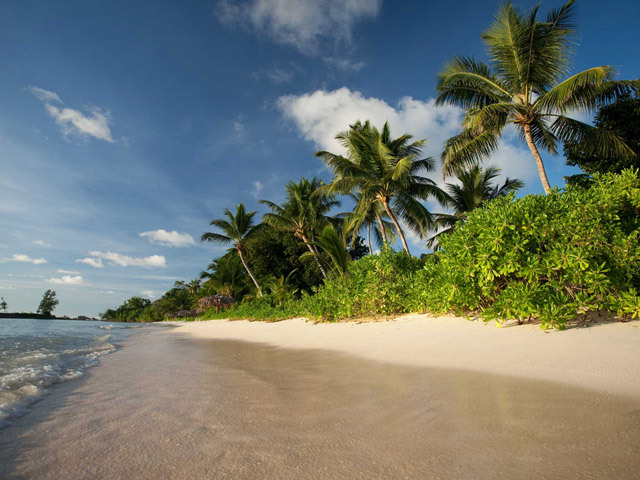 This bijoux spa stands beside the silver sands of the Anse Réunion beach and is cooled by the gentle sea breezes drifting in off the Indian Ocean. We provide a full range of treatments from the extensive Marine Beauty Care range, from customized total body treatments to holistic massages. 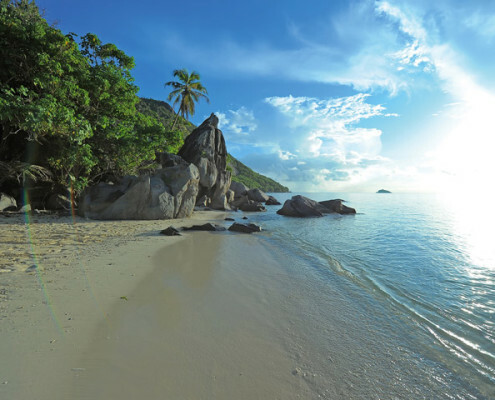 Enjoy your treatment choice with the enchanting view across the sea to the island of Praslin and the sound of the softly lapping waves.